There are lots of reasons why business owners should be treating email less like messages, and more like any other business document. 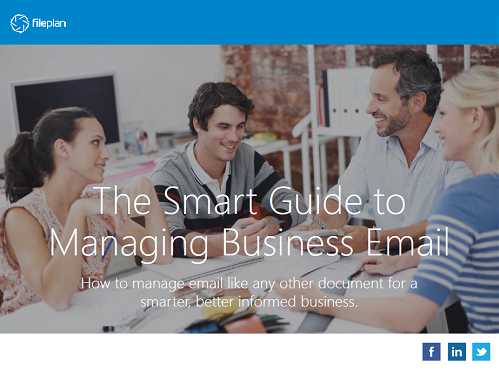 This guide explores the role of email in business and identifies email management practices that will help you save time, improve service, and make better, informed decisions. ©2016 Radix Software. All Rights Reserved. Can't remember your web address? Please enter your email address and we will send you a link to your fileplan instance web address.